At the proverbial intersection of two picturesque, historical areas you’ll find the Sofitel Singapore City Centre. The grandeur of the Champs-Elysees meets the cultural authenticity of Singapore’s Tanjong Pagar district for a result that is both majestic and timeless. 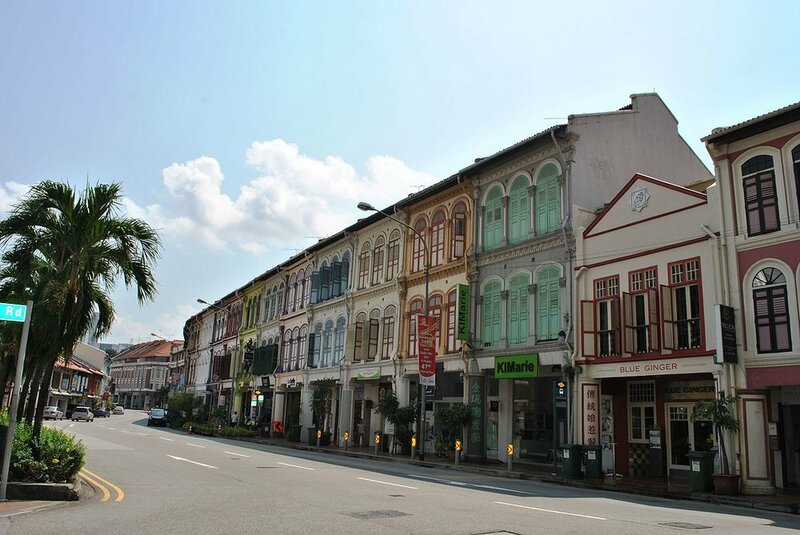 Tanjong Pagar is the first historic area in Singapore to be conserved under the government's conservation plan, which restored many of the area's buildings to their original appearance. Paris’ Champs-Elysees is one of the most iconic, celebrated streets in the romance capitol of the world. The hotel pays homage to the tree-lined boulevard, often referred to as the world's most beautiful avenue. 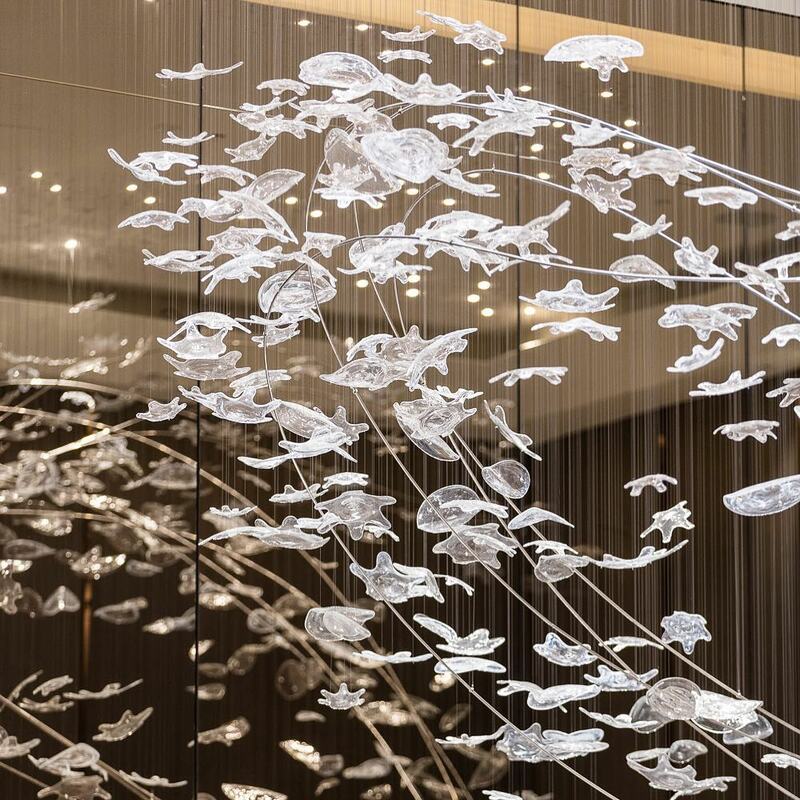 Hanging in the lobby is a centerpiece composed of crystal "leaves" the Plane Tree (platanus) leaves of Paris and the native Tembusu leaf—symbols of the relationship between the two cities: Paris and Singapore. Work created by local artists was used throughout the hotel. Canvases featured in the guestrooms were scanned and printed from a custom hand-painted piece, and vases and sculptures in public areas were created by a local ceramic artist. The orchid flower, a national flower of Singapore, is brought into the ballroom carpet pattern. Injected with the Peranakan essence, this design idea is based on openness and the concept of interaction between chefs and customers. Based on the idea of three cooks, or “trois garcon,” Racines features four open kitchens and three food stations—a cold counter, a hot counter, and the delectable dessert counter. The dessert counter is reminiscent of a walk-in chocolate jewelry box. 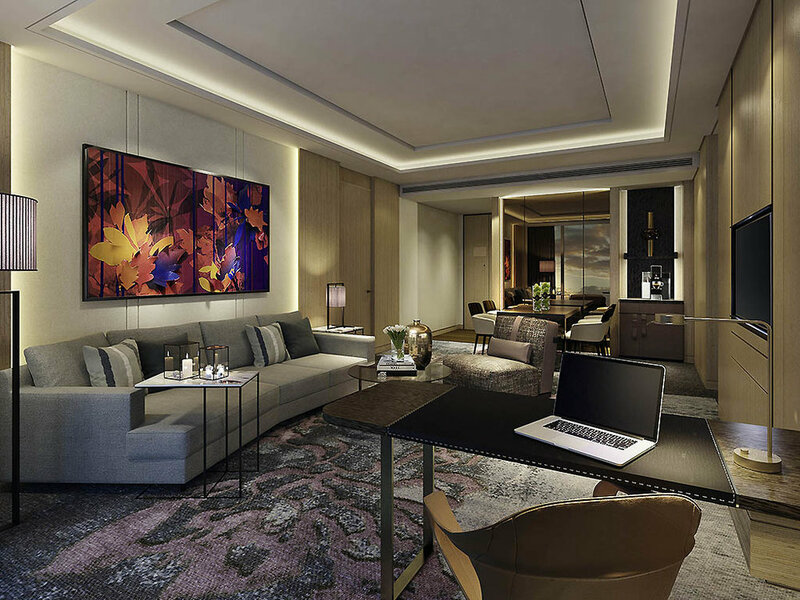 Club Millesime is an executive lounge with a residential touch. The worldly artifacts offer a sense of home, while the use of darker wood and honey hues bring luxury and a masculine vibe to the space. The counters take on a modern loft kitchen design.